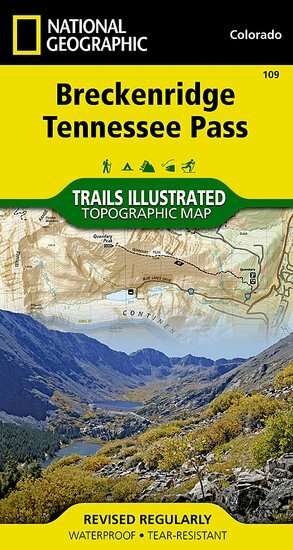 Trails Illustrated Colorado Series Breckenridge / Tennessee Pass [ti109] - $10.95 : Trail Explorers Outpost, Keeping the Adventure Alive! 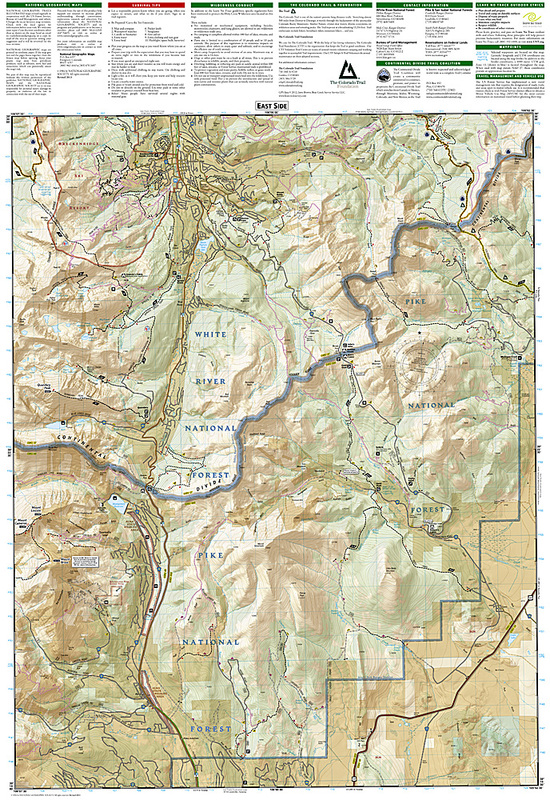 The Breckenridge/Tennessee Pass Trails Illustrated map is the most comprehensive and complete recreational map for this spectacular destination in the central mountains of Colorado. Coverage includes the Pike, San Isabel and Arapaho national forests, Alma State Wildlife Area and the cities of Leadville, Como, Breckenridge, Climax and Alma. Also included are the Blue River, Turquoise and Robinson lakes, and Montgomery Reservoir. 14ers: Mt. Lincoln, Bross, Democrat, Cameron and Quandary peaks. Boreas, Mosquito, Hoosier, French, Georgia, Freemont and Searle passes. Ski areas: Breckenridge, Copper Mountain and Fairplay cross-country. 10th Mountain Huts: Jackal Hut, Vance's Cabin, Janet's Cabin, Fowler Hilliard Hut and Francie's Hut. 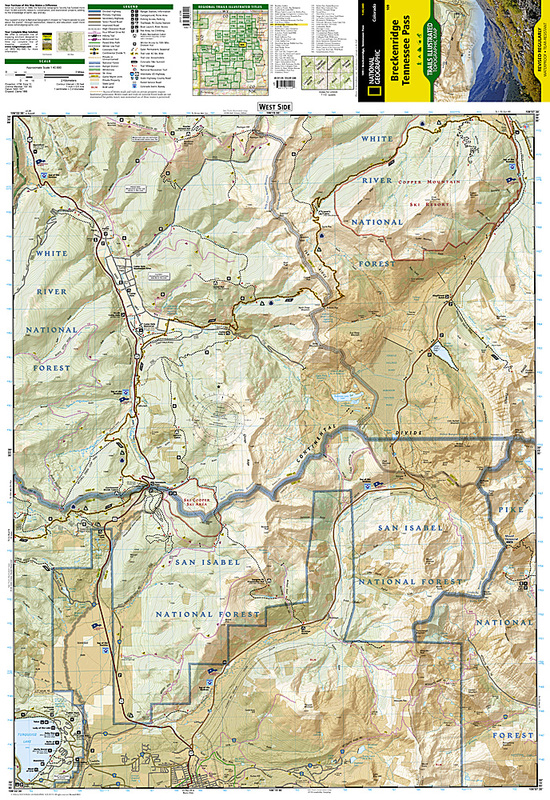 Portions of the Continental Divide Trail and Colorado Trail are included on this map. The map includes valuable wilderness tips and Leave No Trace guidelines, along with updated trails, trailheads, points of interest, campgrounds, and much more. Printed on waterproof, tear-resistant material with a plastic coating for extreme durability. Folded Size 4" x 7.5"
Flat Size 22" x 32"